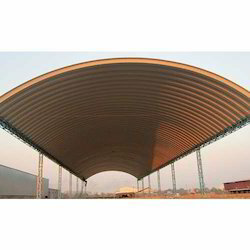 Providing you the best range of structureless roofing system, self supported roofing system, single slope roofing system, commercial roofing systems, trussless roofing system and k span roofing system with effective & timely delivery. With the aid of modern machinery and cutting-edge technology, we have been able to manufacture, supply and trade Structureless Roofing System. Apt to be installed in warehouses, parking and various other places, these roofs are manufactured employing ultra-modern machinery and technology. Besides, providing customization facility, we have gained huge client-base. Taking quality as our prime concern, we are engaged in manufacturing, supplying and trading Self Supported Roofing System. At our end, these roofing systems are designed and developed in accordance with the guidelines laid in the industry to attain highest benchmarks of quality. 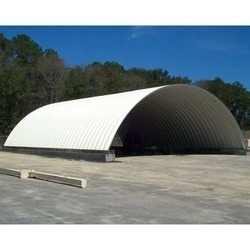 Also, for the ease of customers, we manufacture these systems in different thicknesses, widths, and lengths. Positioned in the industry as a manufacturer, supplier, and trader, we are engaged in offering Single Slope Roofing System. Incorporating modern machinery and cutting-edge technology in the manufacturing process, we aim to manufacture these products without leaving any scope for defects. Knitting a vast distribution network, we are able to dispatch our range in committed time-period. 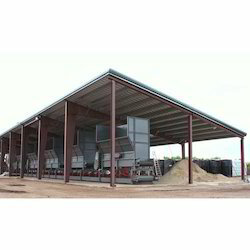 Ours is an eminent organization, engaged in manufacturing, supplying and trading Commercial Roofing Systems. Under the guidance of experienced professionals, these roofing systems are manufactured with perfection in accordance with the guidelines laid in the industry. Without compromising with the quality of the product, we have mustered huge client-base. Reckoned in the industry as a manufacturer, supplier, and trader, we are engaged in offering Trussless Roofing System. 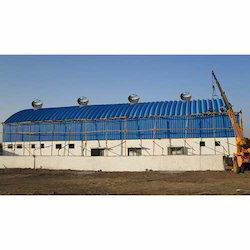 To cover places like construction sites, metro stations, and railway stations, these roofs are demanded in the market. Furthermore, to suit the exact demands of customers, we offer these roofs in various colors, designs, and lengths as per the demands. Started our business operations as a manufacturer, supplier, and trader, we are engrossed in providing K Span Roofing System. Utilizing modern machinery and technology that is installed at our infrastructure facility, we manufacture these systems without leaving any scope for defects. Prior to dispatch, these systems are checked thoroughly to ensure flawlessness. 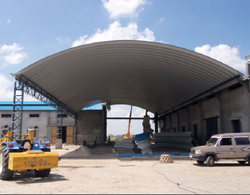 Focusing on the quality of the products, we are engaged in manufacturing, supplying and trading Curved Roofing System. To manufacture these roofing systems, we make use of high-grade materials that are sourced from the accredited vendors of the industry. Before final dispatch at the customer's' premises, these roofing systems are checked by our quality controllers. Looking for Industrial Roofing System ?